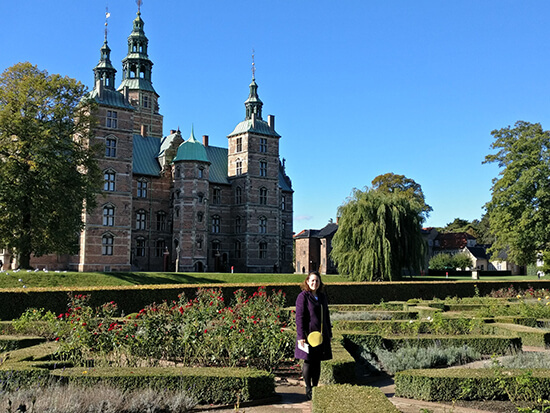 On one of those wonderful blue-sky autumn days when the air is chilled but the sun is bright, I arrived in Copenhagen with visions of Danish pastries and Lego dancing in my mind. I was in the city for just one day, but that’s all I needed. One day among the peace and quiet, the crisp autumn air, the glorious golds of the fallen leaves on the oh-so-pristine streets, and I was smitten. Copenhagen is Scandinavia at its very best. Perfect for a weekend break, Copenhagen has plenty to fill a day or two, but not so much that you’ll feel you missed half of it when you leave on Sunday night. 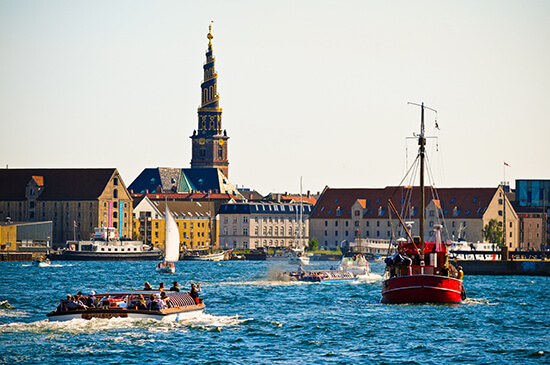 There’s no need to rush either: while there are palaces, squares, statues and museums to rival any European city, the Danish capital is a whole lot more than the sum of its parts. So take a step back and enjoy relaxed canal-side strolls, lingering mornings spent chatting over coffee and cinnamon Danishes, and sunny afternoon walks around the parks and pathways. Paris has its Eiffel Tower and Rome has its Coliseum. Copenhagen has its Little Mermaid. 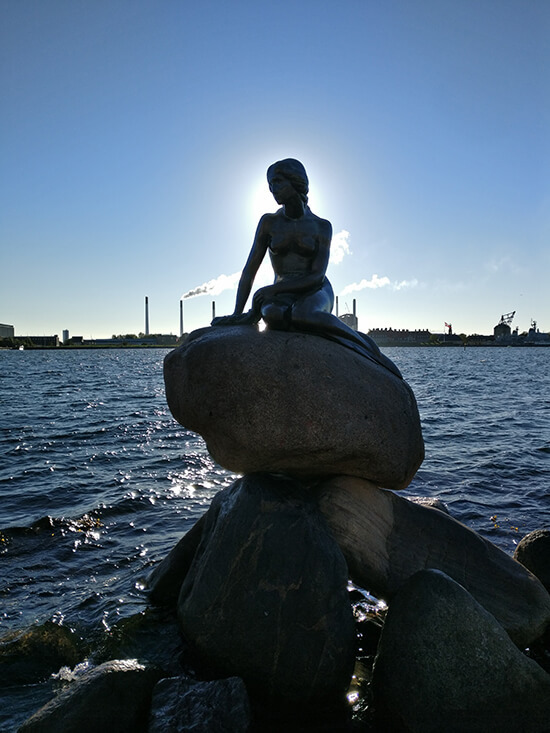 Constructed in 1913 and based on Danish author Hans Christian Andersen’s fairy tale, this is the city’s most famous sight, a statue of a beautiful mermaid perched on a rock. I’ll warn you that despite her appearance on numerous postcards and the queue you’ll inevitably have to join to get a photo, she’s actually pretty small – just 1.2 metres tall. Nevertheless, you cannot leave town without seeing her; it’s the rules. 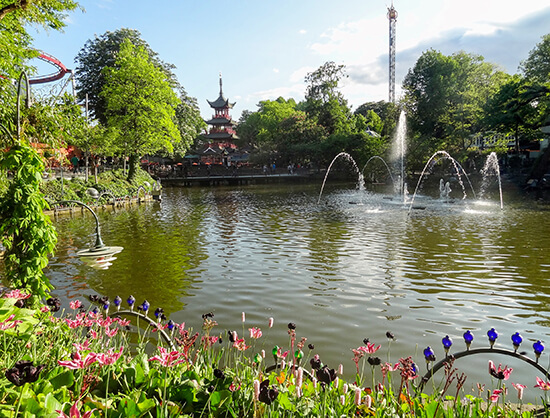 Part amusement park, part pleasure garden, Tivoli is a delightful spot to while away an afternoon. Banish all thoughts of Alton Towers and Thorpe Park; this is a historic place, opened in 1843 and retaining its old-fashioned charm to this day. Aside from the roller coasters, there’s a free pantomime theatre, an aquarium, amusement arcades, a concert hall and an open-air stage, while in summer the park hosts various opera, symphony and pop music performances, held in the evening when the pagodas light up and the trees twinkle with fairy lights. A word of warning though: the park isn’t always open, so do check before travelling. Once a thriving commercial port, today Nyhavn is a collection of colourful old houses overlooking the water, where various fishing boats and yachts bob happily. The sailors and merchants may be long gone, but they’ve been replaced with curious visitors keen to amble by the quayside and try out one of the numerous restaurants and cafés that now inhabit the buildings. If you’re lucky enough to come on a sunny day like we did, this place is pretty as a picture. Like museums? You’re in for a treat – Copenhagen has a long list of them. For art, the Danish National Gallery is the place to start, where exhibits include paintings by Picasso and Rembrandt. Or try Ny Carlsberg Glyptotek, right next door to the Tivoli Gardens, which houses some impressive sculptures behind its grand façade. 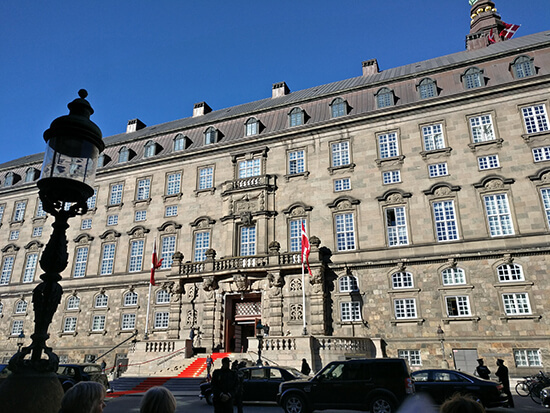 For Danish history, the Nationalmuseet is full of fascinating facts about the Vikings, while the palaces of Amalienborg, home to the royal family, and Christiansborg, which houses the Danish parliament, are worth a visit too. Talking of palaces, this one’s my favourite. It may only be small, but what it lacks in size it makes up for in beauty. Set among the peaceful rose gardens and leafy pathways of the King’s Garden, worth a wander in its own right, this palace features the Museum of Royal History and the crown jewels. Come here at 11:30am to watch the changing of the guard. Copenhagen’s moated fortress might not top the must-see lists, but this was one of my favourite city sights. 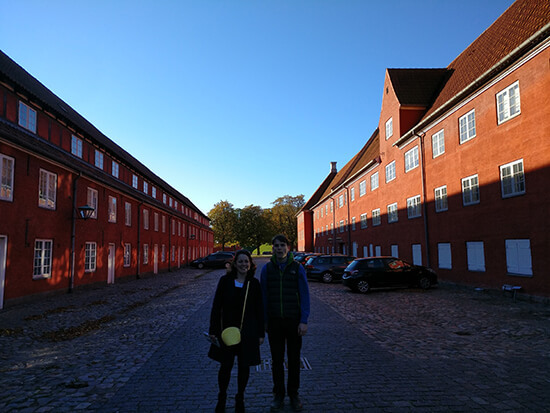 It probably helped that the warm red-hued buildings, known as ‘the Rows’ and once used as military barracks, perfectly complemented the blue sky, making for some delightful holiday snaps. There’s plenty of history here: the fortress was built in 1626 and you can still see the Commander’s House, storehouses, a prison and a windmill within its five-pointed star shape. Over in trendy the suburb of Christianshavn, you’ll find one of the city’s most recognisable sights, the Church of Our Saviour. The building is most famous for its striking black and gold spire, inaugurated in 1752, where, unusually, its 400 steps to the top spiral up the outside of the tower, giving you a vertigo-inducing view over the city. Not your average tourist attraction, the Øresund Bridge crosses the Øresund Strait, linking Denmark to nearby Sweden by both road and rail. 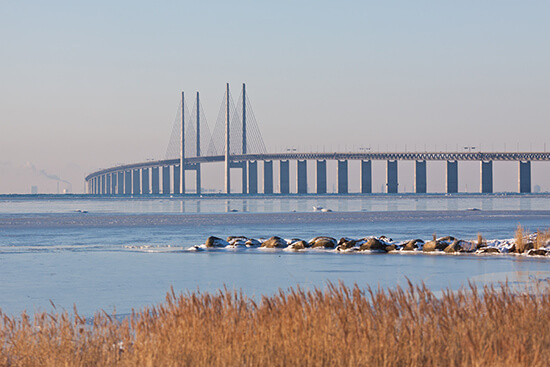 Although the bridge is an impressive sight, its real appeal lies in being able to make a day trip from Copenhagen to the attractive Swedish city of Malmo, just across the water. 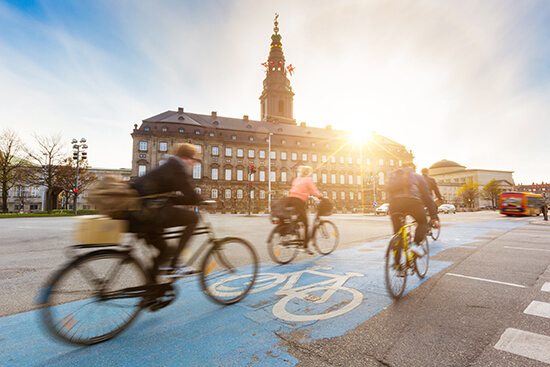 The easiest way to do this is simply to hop on a train from Copenhagen Central Station and, 25 minutes later, you’ll be in the centre of Malmo. Please note that you will need to show your passport or photographic ID to enter Sweden. Copenhagen boasts no less than 16 Michelin-starred restaurants, the most famous of which is Noma, ranked the best restaurant in the world five times. You’ll need a bit of patience to book a table here though, as the waiting list is three months long. For something more attainable, you’re better off trying one of the many pavement cafés and restaurants instead. 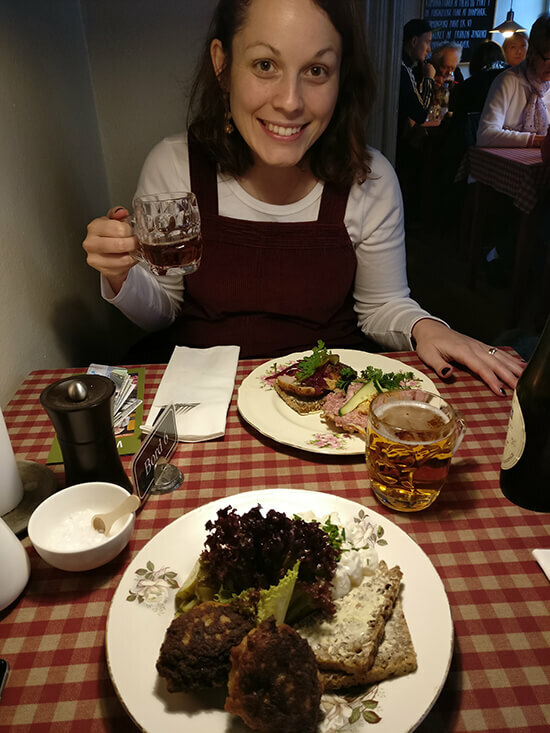 For an authentic Danish snack, step away from the Lurpak and bacon and instead try smørrebrød, a slice of buttered rye bread topped with various combinations of cold meats, cheeses, pickled fish and boiled eggs. Follow it up with a Danish pastry and one of the excellent local coffees. Yum. Copenhagen boasts a comprehensive public transport system, with a driver-free metro and a bus system linking the city sights. The most relaxing way to travel is by boat, with hop-on-hop-off canal tours especially popular, particularly if you are short on time. Locals tend to favour travelling by bike, and you can join them – bicycle rental is available everywhere, just ask at your hotel. In my opinion though, Copenhagen is small and delightful enough to get around on foot. Just wear comfortable shoes for all those cobbles. 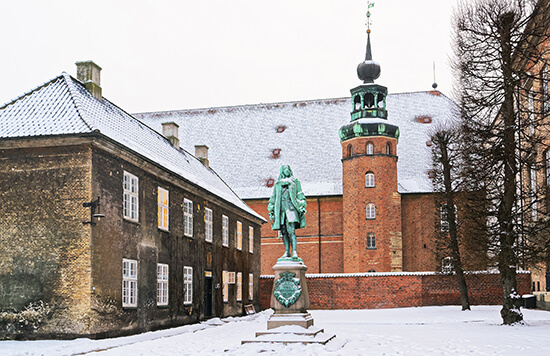 With mild year-round temperatures, you can visit Copenhagen in any season. Although the summer holidays are the most popular times, spring or autumn are better for avoiding the rush. I went in mid-October, and the autumn leaves gave the city a cosy feel, while the blooming flowers make spring the most colourful season. The city sparkles during the winter snows too, and with temperatures rarely dropping below -2°C, it’s a veritable winter wonderland at Christmastime. Inspired by Angela's Copenhagen trip? Make an appointment with one of our Travel Experts and they'll take you through our fantastic range of Europe city breaks.